Moving Forward or Moving Back? Ever get the feeling like your yoga practice is moving in the wrong direction? You are not alone!! In my last post, I shared a window into my personal practice. One of the photos from that practice session highlighted the scoliosis in my back. I was very surprised (& also appalled!) to see just how intensely my scoliosis had progressed. I admit that when it comes to my spine, I get really nervous about any new pains and unusual changes. I have a long history with debilitating back pain and even though I have improved dramatically it doesn’t take much for the fear to surface – the fear of undoing all the good progress I have made to date. Fear of pain is certainly a great motivator and my practice these days is very much informed by trying to even myself out. Can I get my hips level? Can I get my shoulders to level? I’ve become particularly aware of the left side of my trunk and how its tendency is to shrink. Similarly, I’m acutely aware of the lack of feeling I experience on the left thoracic area of my back (this is the area of my back that is concave). Mr. Iyengar says that when you have imbalances, you have to let the good side teach the bad side. Even though my right side is far from ‘good’, it at least has feeling so I’ve been trying to recreate that sensation on my left. Scoliosis can manifest in many different ways and how to work with scoliosis varies significantly from person to person. For me, in my specific circumstance, my Senior Teacher recommended working with straps. On the one hand I like the straps because they feel supportive. I also like the frame of reference they give me on the back side of the body. Because of the scoliosis, it feels as though the strap is tighter on my right side. As a result, I can manipulate my chest/ribs/trunk to equalize the touch of my back to the straps. I find this immediate feedback really useful. All that said, working with the straps has been intense. I feel like I’m learning all of the asanas, again, for the first time! I’m beside myself in my own body. My inversions, in particular, are a mess. In my effort to straighten out my trunk, I’ve completely lost my stability. And while I am excited about the idea of bringing consciousness to an area of my body that has been extremely elusive to me, I admit, this process is somewhat frustrating. We are using the wall/the block/the strap to learn. Listen carefully to the instructions and see what you can learn about your pose by backing it up in this manner. Afterwards, practice without the prop and see if you can translate the lesson. Just because you are not stable in the pose today, does not mean you wont be stable in it tomorrow, and it certainly doesn’t cancel out the stability you may have had in the past. Sometimes as you progress in one area of the body, another area of weakness appears. Yoga is infinitely rich with so much to teach. When this happens to me, I like to think of it as a sign that progress has occurred and my body is revealing my next challenge. Sometimes as you make progress in your practice, you need to give yourself time to adjust to the ‘new normal’. For example, if you do a lot of work opening the chest and getting into the shoulder blade area, you may find yourself wobbly in Sirsasana (headstand). This is likely because you’ve penetrated, you’ve gone deeper than before. It is not necessarily a weakness, rather a new baseline that you need to become accustomed with. Some days you need support, some days you don’t. Know yourself. Be honest with yourself. Take support if you need it, leave it if you don’t. And as I try to understand the curve in my spine and integrate that understanding into my practice, I think I have reminded myself of the above points on a daily basis. I am indebted to my students for helping to keep me honest – thank-you! 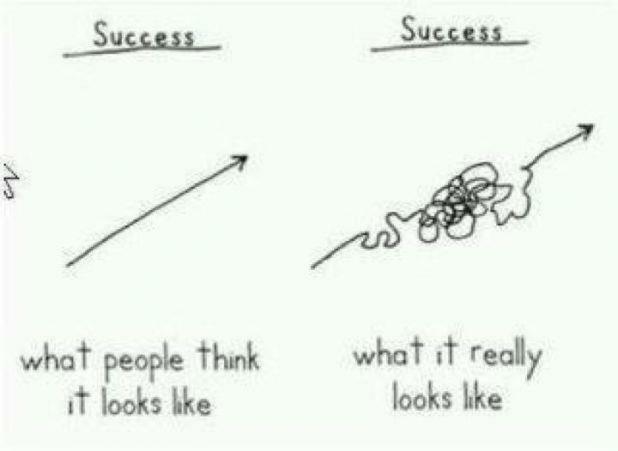 Interesting how, no matter where we are at with our practice, we bump up against similar obstacles :). Another great blog post, Stephanie. You posts always make me think and always improve my practice. I too struggle with chronic pain with my scoliosis. I have been treating it with Iyengar Yoga for the last 6 years. I totally understand the “fear” of undoing, and sometimes I feel guilt when I do not do yoga and almost feel doomed. Thank you for voicing all of this. Do you teach, and who do you study with? I am always interested in more support and teachings that can keep teaching me about my scoliosis. Thanks again! oh Tessa, thank *you*! I am touched that you thought to share about your own experience (it’s awfully generous of you to do so :)). I am trained by and continue to study with Senior Iyengar Yoga Teacher, Marlene Mawhinney. 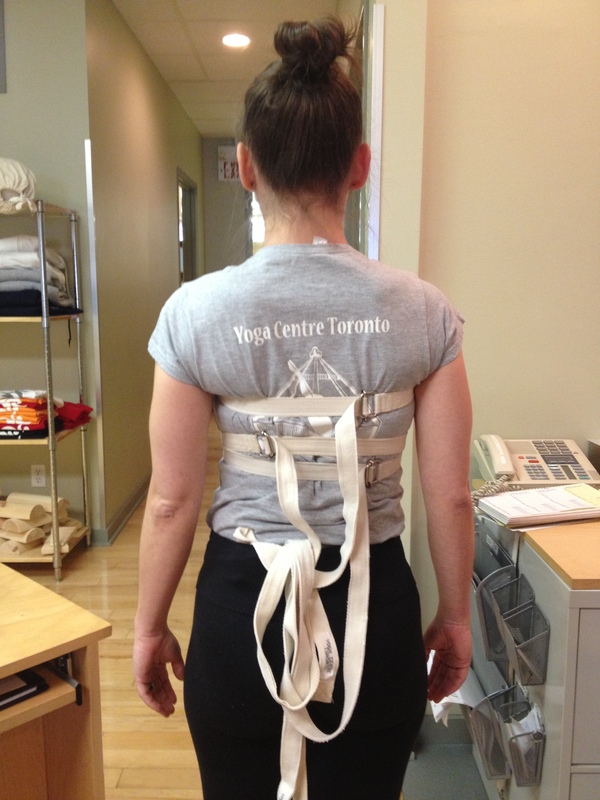 She is based in Toronto, Canada at Yoga Centre Toronto – http://www.yogacentretoronto.ca. She does also travel quite a bit. Where are you based? Hi Stephanie, thank you so much for your interesting sharing. I’ve learned so much reading through your blog. May I know do you practice with the classic way of jumping to Utthita Hasta Padasana frequently? Is it advisable not to jump for scoliosis student? hi Mei, thank-you for the comments! At this stage, practicing with scoliosis is still kind of new to me. I’m sorry I can’t be more helpful but I don’t know whether jumping should *always* be avoided. In addition to scoliosis, I have other issues with my back (sciatica, degenerative disc disease), so generally speaking I personally don’t do a lot of jumping in my practice. SF makes my heart melt…I went to school out in the east bay and I have so many fond memories :). 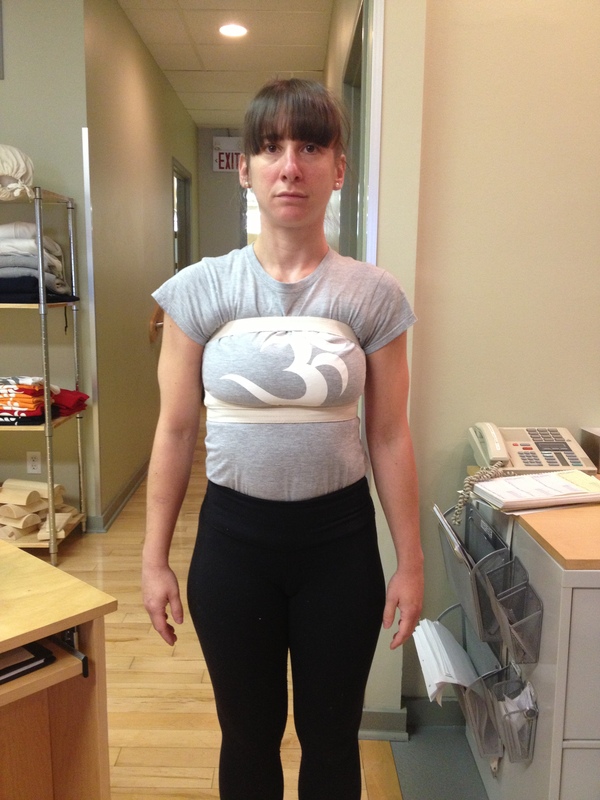 I hope you have already connected with the Iyengar Yoga Institute of SF – they are hosting Elise Miller for her scoliosis workshop starting tomorrow!!! hi Kate, thank-you very much for sharing the link – I just inhaled your blog :). Sounds like you had a tremendous yoga experience (I confess I followed your adventures online, living vicariously through Lori’s facebook updates!). Your writing has made me absolutely yearn for RIMYI! I would love to hear more about the work you did with Stephanie.. if it’s not too much trouble, please keep me posted as you write more.